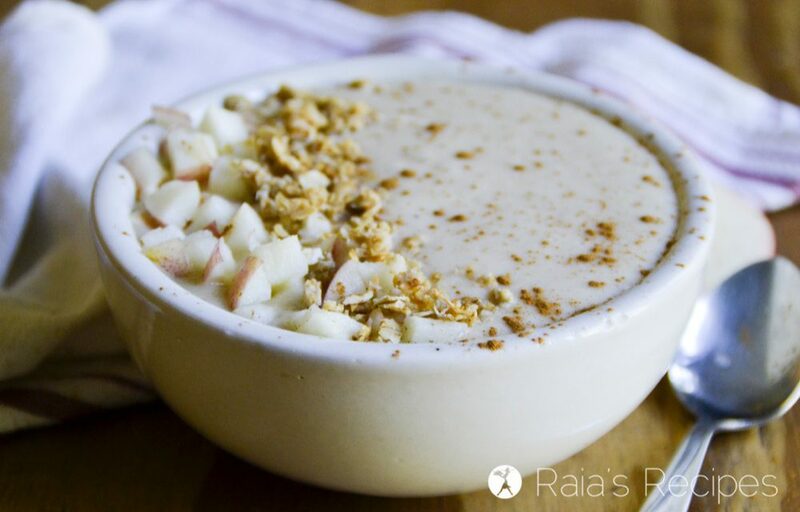 Enjoy apple pie all year ’round with this delicious and healthy gluten-free Apple Pie Smoothie Bowl! 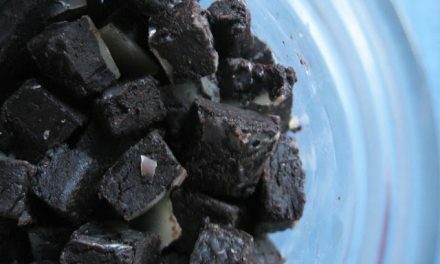 It’s an easy gluten-free breakfast or treat, and can easily be made paleo or even vegan! Apple pie is for lovers. Growing up, Thanksgiving was always one of my favorite holidays. I loved the big family get-togethers, the games, the laughter, but most of all I loved the food. The dessert, to be precise. Apple pie in particular has always been one of my favorites. And after getting married, I found out it was my husband’s favorite, too. (Guess we were meant to be…) Now I make him a gluten-free deep dish apple pie for Father’s Day, aaaand sometimes for lunch, too. But what about those days when it’s just too hot to turn on the oven? Like, pretty much all year down here in the south? When Carissa sent me her book, Beautiful Smoothie Bowls, I didn’t even have to open it to be in love. But I opened it, and there was no going back. I drooled over page after page of gorgeous smoothie bowls, then my 10 year-old stole the book from me and we commiserated over the deliciousness. When I asked her which one we should make first, she decided on the apple pie smoothie bowl. I guess that sort of genius runs in the family! Like any smoothie aught to be, this apple pie smoothie bowl is pretty easy-peasy. Just dump it all into the Blendtec (or whatever blender you use) and puree. Dump in a bowl and decorate with granola, apples, cinnamon, and a little yogurt, and devour. A great way to start any day. If you’re looking for a book full of delicious and wonderfully nutritious smoothies, this one is for you. Beautiful Smoothie Bowls is chock full of gorgeously photographed recipes with amazing ingredient lists, and even contains nutritional information on all the superfoods used in the smoothies. 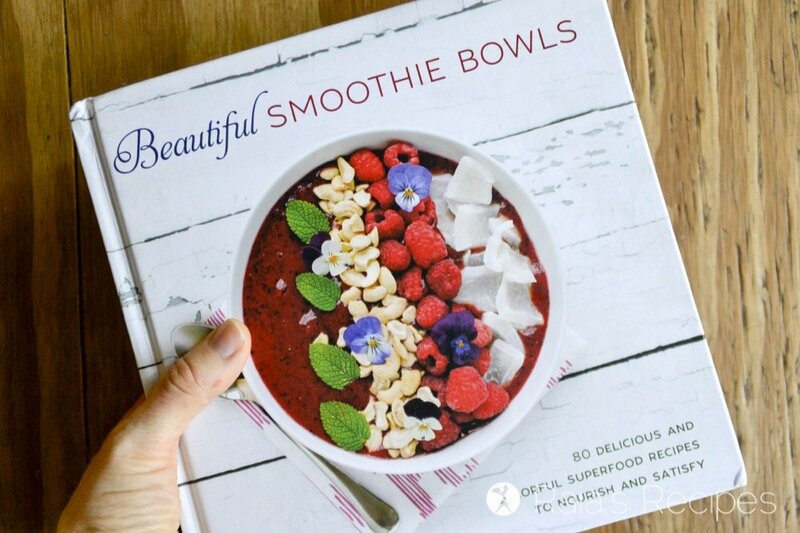 You won’t regret waking up to any of the amazing smoothie bowls in this book! 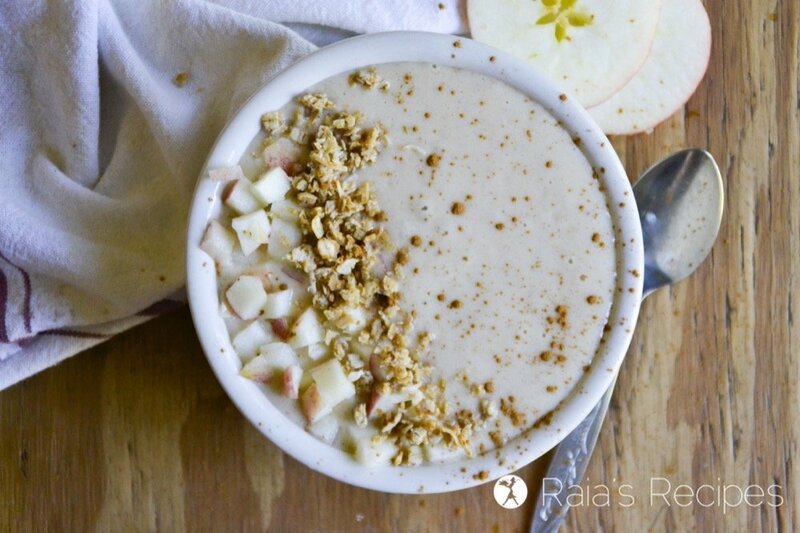 So head on over and check it out HERE, then make sure you give the Apple Pie Smoothie Bowl a try. 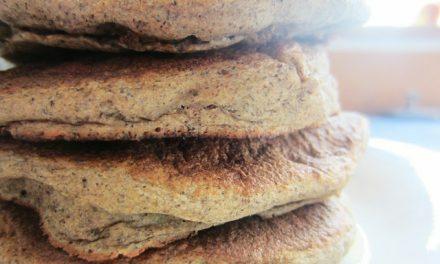 If you’re still on the look out for more delicious gluten-free breakfasts, here are a few of my family’s favorites! All easy-peasy… and delicious! Combine smoothie bowl ingredients in a blender and blend until smooth and no chunks remain. 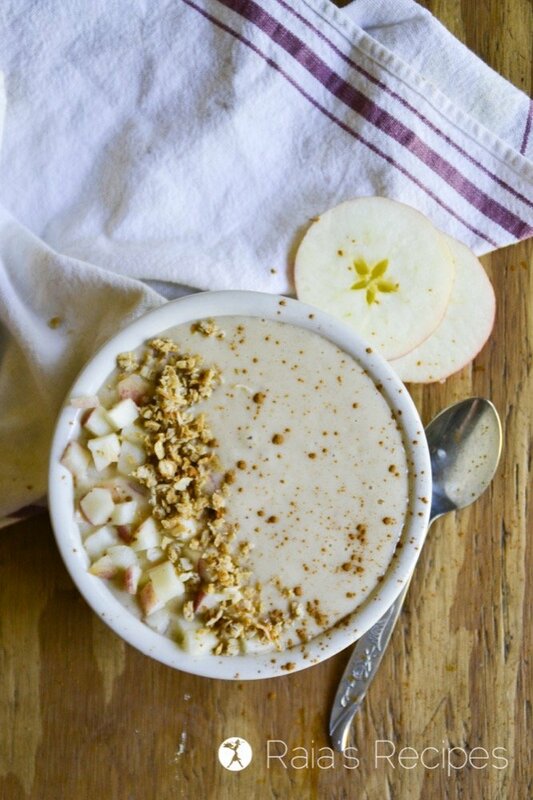 Don’t forget to pin this beautiful Apple Pie Smoothie Bowl for later! Thank you for saying such great things about Beautiful Smoothie Bowls! My kids really like this particular recipe as well. You’re so welcome, Carissa! 🙂 Thank you for letting me share it! I could wake up to this every morning. I have yet to make a smoothie bowl…but this one looks delicious! So fresh, and I bet the texture of the apples is delightful! This looks so good! 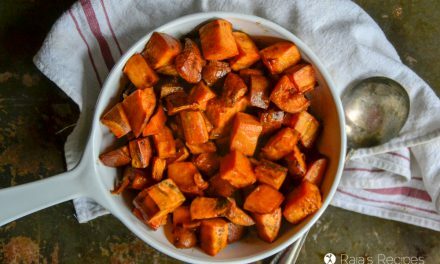 I would LOVE a bowl of that deliciousness right now. 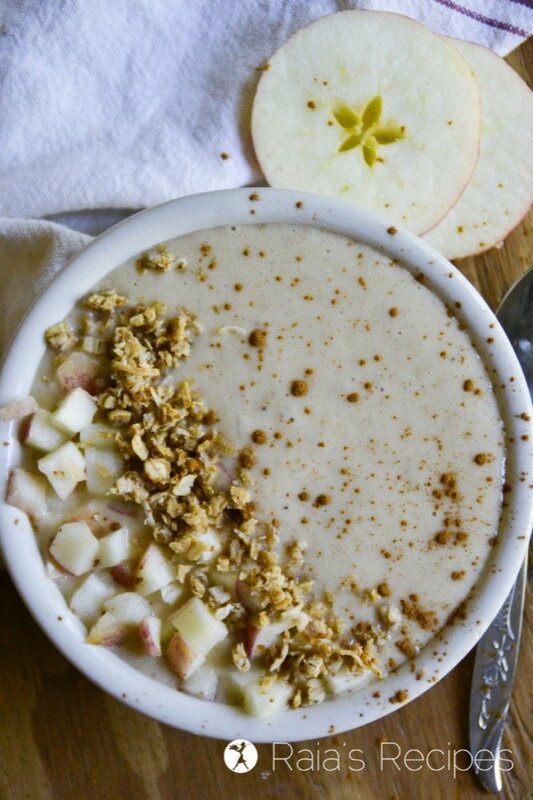 An apple pie smoothie bowl sounds perfect! This look delicious. Such a beautiful looking bowl. Carissa out did herself! She definitely did! 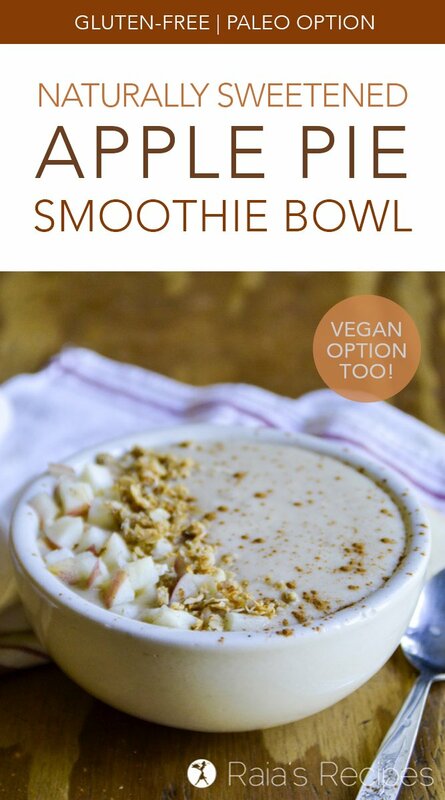 All the smoothie bowls in the book look amazing! Well this is serious amazing-ness in a bowl! Seriously looks and sounds amazing! Haha! Thanks! 🙂 It’s a family favorite. Mmm the granola on top makes it so perfect! Swoon. I want this for breakfast and dessert! 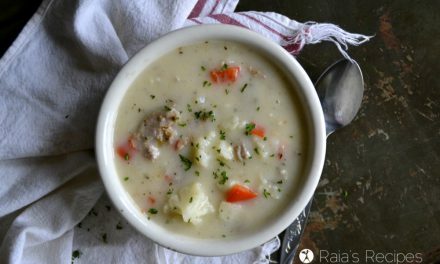 This would be so great for breakfast or as an afternoon snack! Looks delicious!